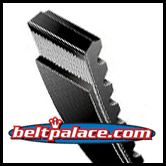 Home > Variable and Multi-Speed Belts > MULTI-SPEED BELTS > 1422V460 Multi-Speed Belt, Industrial Grade. 1422V460 Multi-Speed Belt, Industrial Grade. 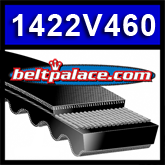 1422V460 Multi-Speed Belt. Industrial Grade. Length 46.5” O.C - Top width 7/8" - Angle 22. GATES, BANDO, BROWNING, JASON, SPEED CONTROL 1422V460 Belt. Clausing 1689 Drill Press belt (select Models).